Oh wow, those are really gorgeous! So is your selfie, Truffles! Beautiful frame around you ! Those lilacs are gorgeous! And so are you! That's a lovely selfie Truffles, and the lilac is gorgeous. Wow! Truffles, you and I are on the same wavelength today! Oh my gosh, I can almost smell those beautiful lilacs from here! Great selfie and beautiful lilacs. I'll get they smellw onderful. 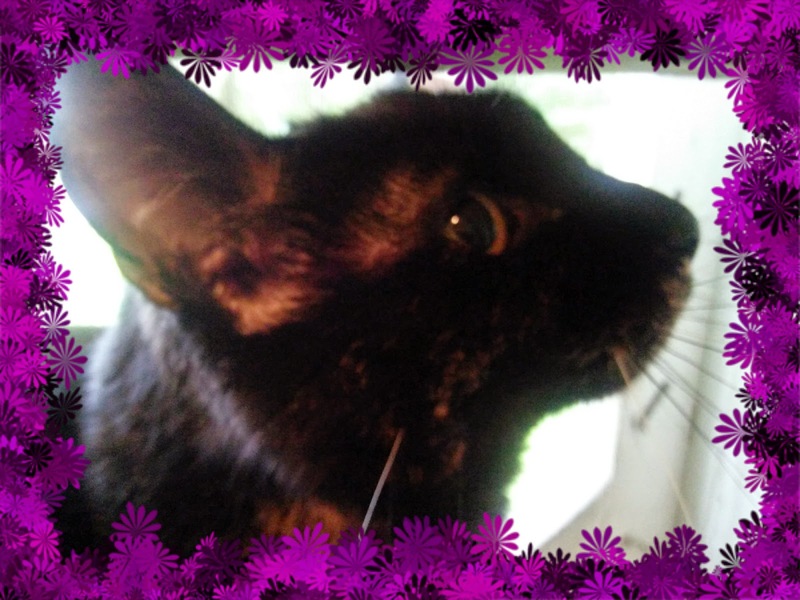 Those flowers are almost as beautiful as your selfie, Truffles. We have lilacs blooming here. The mom says the air smells so good! Great selfie :) We just picked lilacs yesterday, but I don't have a cute vase like yours. Oh my such beautiful lilacs, if only we could smell them! WOW! Those lilacs are gorgeous! That's awesome that you get to enjoy them, Truffles. We can't have flowers inside our house because Delilah eats them all!! Love the purple flowers around your great selfie. Beautiful lilacs. Lucky you that you have window whiffies. It is cold and dreary here so no open windows. Truffles, Melissa, these are gorgeous! The one thing I miss the most about living in the Midwest, other than my family - thank you for sharing these!! Very pretty if you’re a human I suppose. I guess they’re nice cos they’re safe for us cats. TW was blathering about the wisteria blooming on the next block and they looked lovely and blah-de-blah. Ohhhh you are sooo lucky!!! My Mom LOVES lilacs!!! We have NONE by our house! The smell of lilacs is just glorious! Enjoy! WOW, they are gorgeous and so are you surrounded by them. M loves that flower - they smell so good. Yes, get a stuffie - it's fun. Oh, what a beautiful selfie, Truffles! Pretty lilacs, too. They're also blooming here ... glorious! 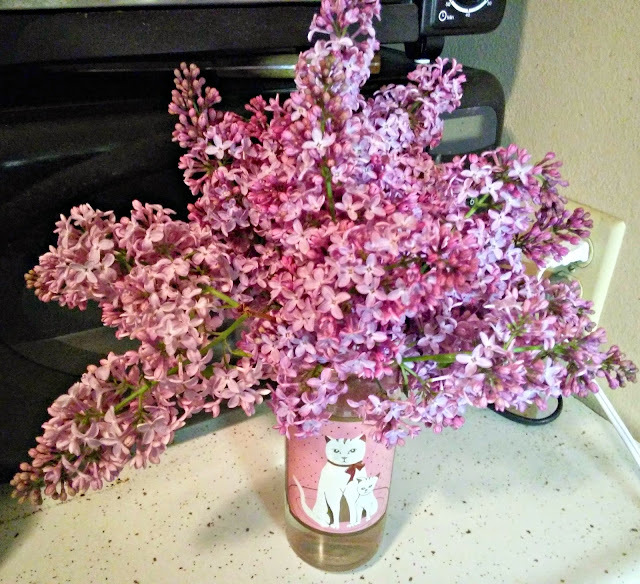 Mommy LOVES lilacs and we love your selfie! Lovely lilac selfies - two ways!! Lovely selfie and lilacs, how pretty!